Dimensions 0.50 by 5.25 by 9 in. As a manager in todayÃ¢ÂÂs business world, you canÃ¢ÂÂt just tell your direct reports what to do: You need to help them make their own decisions, enable them to solve tough problems, and actively develop their skills on the job. 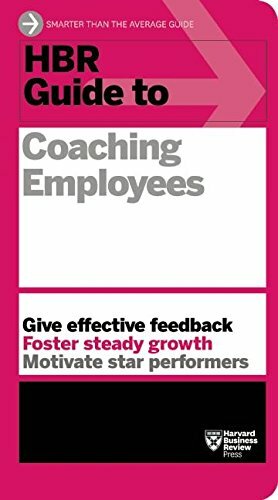 Whether you have a star on your team whoÃ¢ÂÂs eager to advance, an underperformer whoÃ¢ÂÂs dragging the group down, or a steady contributor who feels bored and neglected, you need to coach them: Help shape their goalsÃÂand support their efforts to achieve them. About: Help your employees help themselves.